c i n d e r s & r a i n .: brit com. It took me a while to get into The Office . I'm not a huge fan of Ricky Gervais and the short clips I'd seen of the programme made me cringe behind a cushion. But then Cardy suggested we watch the series on DVD and I thought I would give it a go and I'm so glad I did. 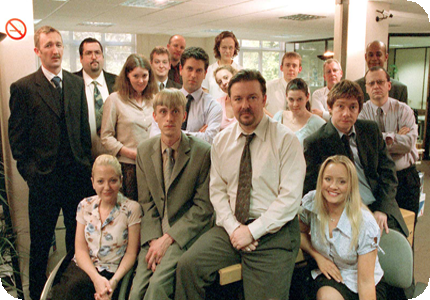 I think that what really makes this series special are the well formed characters. The burgeoning love story between Tim and Dawn is just heart breaking and I want to set Gareth in a vat of jelly. Perhaps my favourite moment is Tim and Dawn asking Gareth whether he has ever had to blow a man harm whilst in the TA. 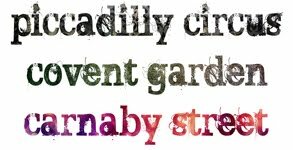 The innuendo is just brilliant. When I was a young teen I became mildly obsessed with the film You've Got Mail. I was rather taken with the idea of working in a quaint little bookshop with wooden panelled walls and friendly local customers. Then I grew up, Meg Ryan made some hideous cosmetic surgery choices and the idea of being a bookshop owner lost it's charm. That was until I found Black Books. 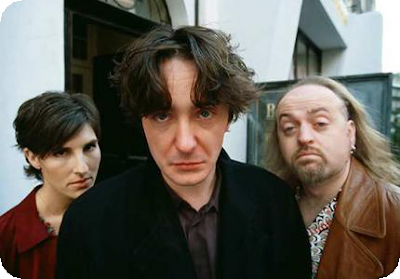 Moran's Bernard Black is the cutest misanthrope I have ever seen while Bill Bailey and Tamsin Greig are fantastic as the eccentric and slightly lost Manny and Fran. My favourite episode is the one in which Bernard and Manny write the most perfect children's story ever created and Fran discovers the peril of too much cake and Life Cry. It's an important lesson we should all learn. Malcolm Tucker is one of my favourite characters ever. He is foul mouthed and power crazed, and he has the equally terrifying Jamie by his side. The Scots are coming, and they're going to make you cry. 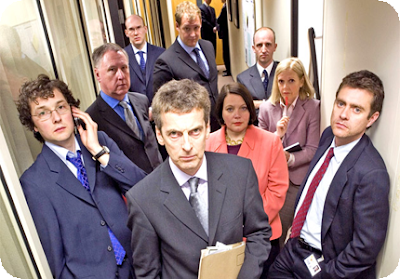 I really love political satire and I think that The Thick of It is perhaps the best of the best. It's so eerily spot on with some of it's scandals and policies that it's almost uncanny. I sat down and watched a few episodes with my civil servant father. He said it was spookily accurate and laughed a lot. I think that's the insider seal of approval. I don't think I could pick a favourite episode, so I'll just tell you to go out and watch it yourself. You're right, Tim. The Phantom Menace was crap. I am so desperately in love with Spaced. I think it's perhaps the most perfect series ever created. The whole premise, boy meets girl, girl suggests that she and boy pretend to be a couple in order to rent a flat, boy and girl find themselves living with an alcoholic landlady and creepy artist, could have been so cliched and dry, but it is brilliantly executed. Tim is the bleach blond graphic novel artist who proves that geeky men are bloody hot and Daisy is the aspiring writer who will forever remain aspiring. Along with drunken middle-aged flirt Marsha, socially awkward abstract artist Brian, gun loving ex-TA member Mike, tactless fashionista Twist and Colin the dog, they are perhaps two of the most beloved characters in the eyes of Brit com fans. I love the show's subtle references to big Hollywood blockbusters and 90s culture (The first rule of Robot Wars is, you don't talk about Robot Wars!) and the utterly charming characters. And unlike a lot of comedy series, there's nothing too flash and wacky - it's just two friends trying to be successful creative types in London. I've tried to pick out a favourite moment from series, but I just can't. It's all so amazing. Go and watch it. So I love all of these, but Black Books is my all time favorite! I do love a bit of Black Books. I went to a festival a few years ago where I got to see Dylan Moran and Bill Bailey - I was in comedy heaven!